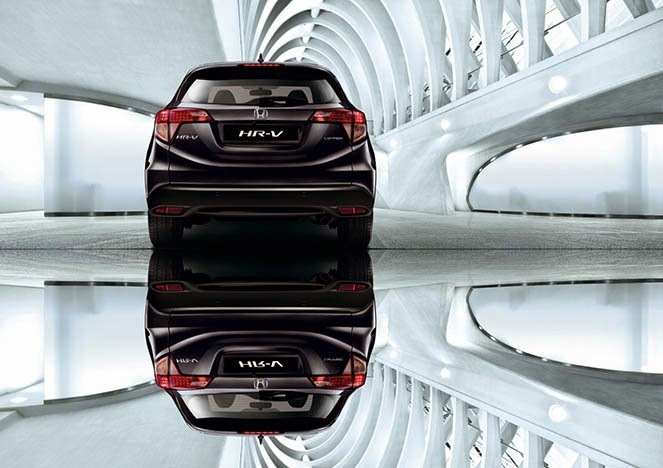 The all new Honda HR-V is currently opened for booking and is set to be launched this coming February 2015. Stands for Hi-rider Revolutionary Vehicle, the HR-V will be coming in three grades; S, E and V where all of them will be powered by a 1.8-litre SOCH (Single Overhead Camshaft) i-VTEC four cylinder engine which can produce 141 PS and 172 Nm of torque at 4,300 rpm, paired with a CVT transmission that is similar to that found in Honda Jazz. According to Honda Malaysia, the new Honda car model is a new generation vehicle introduced to cater for the demand for vehicles with the benefits of SUVs. 6 airbags (Dual Front SRS Airbags, Side Curtain Airbags and Side Airbags).